Have you ever been at a place in your life where God seems silent? Maybe you have taken a leap of faith and allowed God to take you places you thought you would never go. Maybe you are in a period of waiting and feel as if God has forgotten about you. Maybe you feel all alone. Maybe you feel all of those things. I know I do. Right now I am in a strange place. I have been in this place before, and it is a very lonely place. It was hard, but I struggled through it. Somehow, though, things are different this time because before I didn’t choose to be in this place – it just sort of happened. This time, God led me here and I was very consciously aware of where I was headed. Listening to his call, I came here anyway. And now I sit here, waiting. When you are waiting, it is hard to see the hand of God in your life. I believe He is there in the every day activities. In the mundane. He sees you when you are at home doing housework, when you are sitting in the office with a pile of paperwork, when you are pouring into your children. He sees you, He interacts with you, but sometimes you don’t see and interact with Him. That is hard. Because in so many ways you just feel…empty. A few years ago a friend of mine was in a waiting period. It was hard to see the hand of God in her situation because the waiting was so long and so heartbreaking. She was waiting for a green card so she could go and be with her husband. For two very long years, she was waiting. Praying. Interacting with God and just waiting for Him to move. I admit, during this period, even I was left feeling empty on her behalf. Because while she was waiting, everything that could go wrong did. Paperwork was lost and needed to be resubmitted. Not once, not twice, but three times. When they finally saw a ray of hope, something that never happens happened. The goverment of the good old USA shut down. Closed. What? We questioned what God was doing. Finding faith that He had a plan was so incredibly hard. We cried. We drank a lot of tea and watched kid movies to make us feel better. (Thank you, Disney Pixar!) We waited. We prayed. If you are very low, if you feel like the loneliness is going to swallow you, you need to have faith in Him. Faith in His timing and His provisions. But what can you do in the waiting? What can you do when you don’t even have the strength to lift up your head? When you are so desolate you just can’t even? Baby steps. Everything is easier when you take it slowly, and sometimes trusting in God when He seems silent requires baby steps. You might not be able to stand tall in faith right now. You might just be laying on the floor feeling so helpless. You mght be at rock bottom. Even baby steps are a step of faith. First, follow the advice Peter gives in 1 Peter 5:6-7: “So humble yourselves under the mighty power of God, and at the right time He will lift you up in honour. Give all your worries and cares to God, for He cares about you.” Sometimes even a simple prayer will lift your head and your heart up to Him. We are blessed to have a great God who knows our hearts before we even utter a word, but He longs to hear from us. He longs for us to pour out our hearts to Him. Second, be thankful and fix your eyes and mind on how He is moving in your life. Focus on the good that He is doing in this current situation, and leave the rest to the One who works out all things for good. Fourth, worship with your whole heart. When you are feeling broken, when the waiting is long, when your heart is lonely, that is when your worship should be the loudest. Worship is giving back to God what He has given to us – responding to the love that overflows from Him. Worship is from the heart. The psalms are full of examples of worship in the midst of suffering. In the midst of any kind of battle. In the midst of every situation. So read the Psalms. Pray though them. Pop on some music and sing until your heart moves. When you are hurting and it seems God is silent, everything is empty. But I can tell you this – even when we aren’t moving, He is. 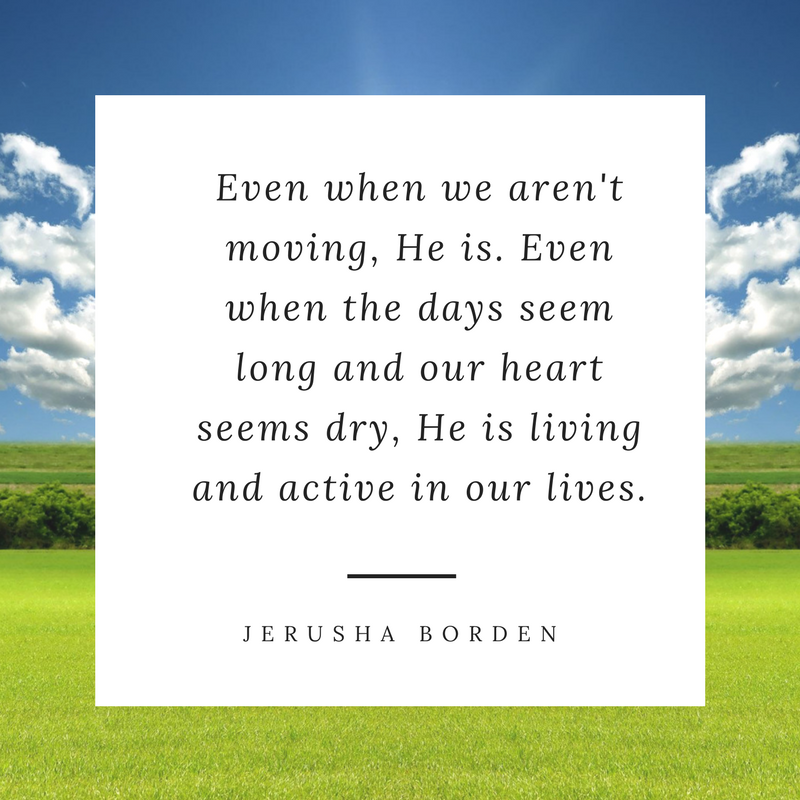 Even when the days seem long and our heart seems dry, He is living and active in our lives. That friend of mine? Just about a year ago she got a little something in the mail. She rejoiced as she packed up her belongings and joined that sweet husband of hers. Finally, they could be a family. And when God blesses? He really blesses! Right this very moment I bet my wonderful friend is holding her beautiful new baby boy. You are not forgotten. And neither am I. If you needed this today, so did I. 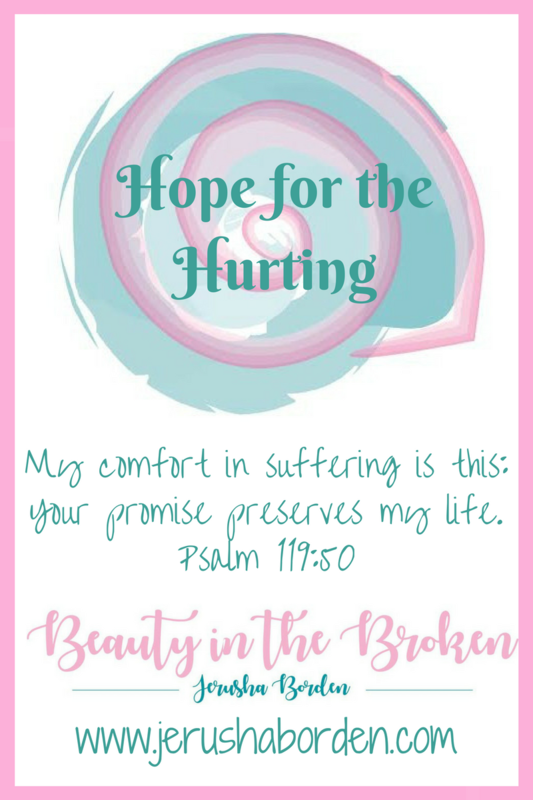 How wonderful to know that when we are hurting, and waiting, He is near. Not only does He know what we are going through, He is holding us in His hands. Faithful in every season – through both the blessings and the struggles. Like a little baby standing on their own feet and taking that tottering first step – we can take a step towards trusting God through this, too. It is okay if we fall occasionally. Toddling babies do that. But they get up and try again with joy and excitement in their eyes. I pray that you and I will have that joy and excitement in our eyes and in our hearts as we journey through trusting in the silence. Joy is coming – do you feel it bubbling up? Trust in God and it will overflow. Let it swell up inside and become a part of who you are. Then trusting God will become joyful obedience and will spring a hope in your heart you will never have experienced before. He will never leave or forsake us…sometimes it is hard to remember this. But, when we trust Him the joy always will follow. Good post! Jerusha, thank you for this post. I love what you wrote here…”even when we aren't moving, He is. Even when the days seem long and our heart seems dry, He is living and active in our lives.” So true and such a beautiful way to say it!